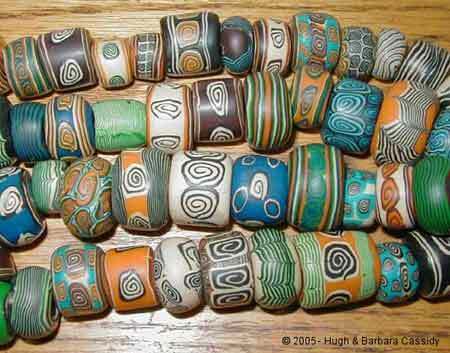 Here is a sample of the beautiful beads that Eva would make using colorful clays. She would layer the colors, roll & twirl the clay, and then slice into beads and bake in the oven. One of her clay necklaces was auctioned in England for a charity and went for about $10,000.